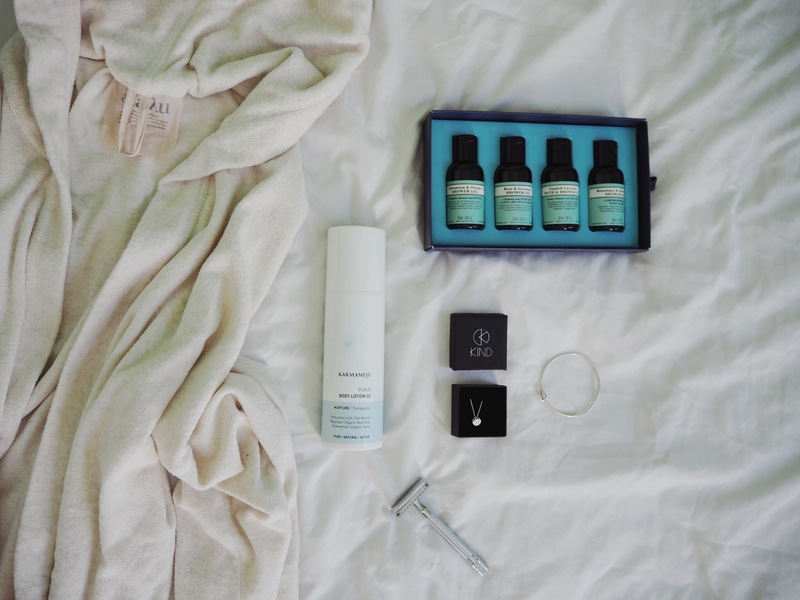 For my 30th birthday last week I was not only lucky to be gifted with a gorgeous day with some of my favourite people, doing some of my favourite things (eating good food and walking along the beach), I was also gifted with some beautiful eco-friendly items. I often find it a bit weird ‘asking’ for presents by making a wish list, but it’s always been the norm in my family, so in recent years I’ve taken to using this app (which is only in Danish I think. Previously I just used the notes app on my phone and it worked just as well). I add to it throughout the year and then edit around Christmas and birthdays when I’m asked to share it. This way I don’t scramble to come up with things I don’t really need or want and instead, I have a curated list of things I know I’ll love. I have been wearing this organic cotton bathrobe from Danish Aiayu as much as possible since my birthday. It’s so soft, comfy and luxurious and it’s a little silly, but I’m actually loving the hood, somehow it makes it feels extra snuggly (my fiancé laughs, but I’ll wear it anyway). Aiayu is one of my favourite brands and although their garments come with a high price tag, I feel all the garments I own from them have been worth the extra price. Not only do I know the materials haven’t cost the earth too much, but I also know the people involved in the process from fibre to finished garment have been treated and paid fairly. In my search for an organic, natural body lotion I’ve gone through my fair share of different brands, but this one from Karmameju is the only one I keep going back to. It’s calming and soothing and it’s subtle smell of chamomile and lavender is perfect. I’ve been wanting to switch to an eco-friendlier shaving alternative for a while, but had a bulk of razor heads to go through first. A few weeks before my birthday I could finally see an end to my storage, so I put this one on my wish list immediately. Neal’s Yard makes some lovely organic and fragrant products and I’m looking forward to using these travel-sized shower gels during my upcoming trips – the difficult part will be to choose which one to bring. The packaging comes from FSC® certified woodland and, since 2012, it has offset 146 tonnes of CO2, with World Land Trust. Neal’s Yard has helped this conservation charity protect 400,000m2 of endangered forest to date. They also encourage reuse or recycling, which I will definitely be doing. I can’t remember how I came across this brand (quite possibly on Instagram) but I immediately loved that all their jewellery is handmade in Kenya using techniques handed down through generations. Every piece tells a story of lives changed through safe, sustainable employment, training and education. This bracelet has a simple, classic design that fits so well with my style. I found this necklace via the Gather & See webshop and I honestly love being able to look through everything knowing someone else has already asked all the questions I normally would before buying. According to Gather & See the production is environmentally conscious and the brand uses responsibly sourced materials. 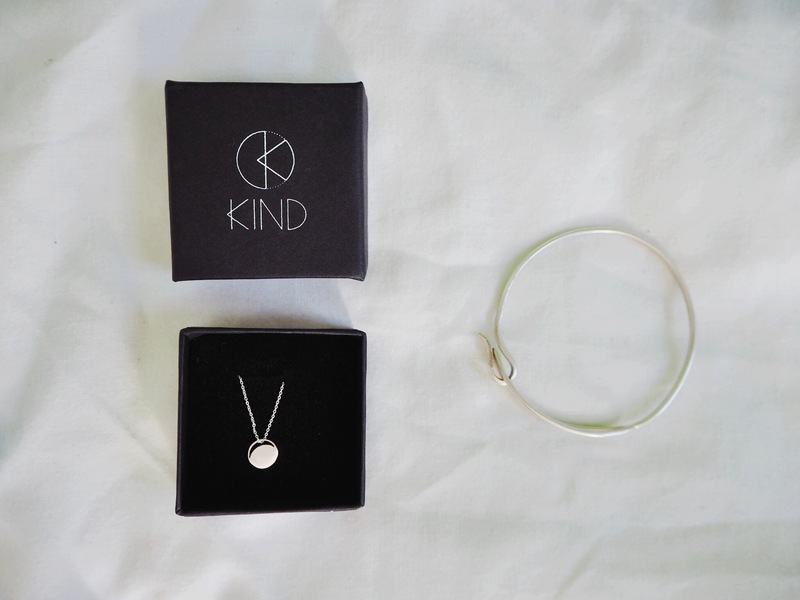 This Crescent Lune Mini Disc necklace is handmade in London and made from solid silver. Although it’s smaller than I thought based on the photos (there are measurements, I just didn’t think to check) it’s turned out to be perfect for everyday wear with tees and knits. What a wicked handful of kick as brands and makers!